Last year was marked by data center companies feeling the pressure of offering 24-hour availability to their clients. Major outages impacted facilities from top the bottom, including industry leaders like Microsoft and Amazon. Much of 2015's data center trends will pick up where 2014 left off - IT teams will continue to seek new solutions for improving capacity and efficiency while dealing with industry wide pushes toward sustainability and clients with more demanding availability requirements. Thankfully, new technology and greater willingness on the part of corporate decision-makers to address issues through innovation will help to balance out the challenges laid out for the new year. While talking about the cloud seems a bit old hat at this point, it's still a relevant discussion topic when it comes to charting the industry's trajectory in 2015. While more companies have implemented cloud solutions, either in the form of storage or through outsourcing IT workloads through the hiring of an as-a-service provider, a large portion of the industry has remained wary of transferring too many of their critical services to the cloud. Confidence in the cloud and the progress of the technology are coming into the new year at a peak, said Computer Business Review, so expect even greater adoption in 2015. IT Business Edge predicted two related trends for 2015 that suggest corporate IT may finally be getting its due. 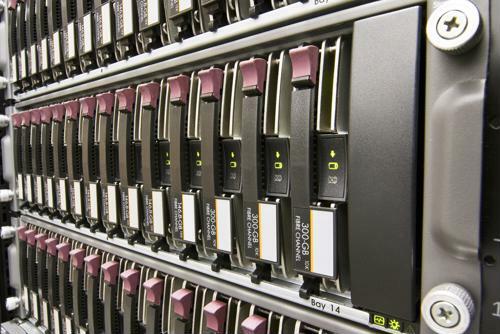 According to the resource, CIOs will look to IT managers for input on how the the company's data center is making the most of technology currently deployed. With those raised expectations may also come budgetary support that could allow IT teams to make serious structural upgrades to the company's infrastructure. The resource also predicted greater communication between CIOs and IT teams as higher-ups look to make better use of the expertise of data center managers and their staff. According to TechRepublic, the inevitable end of IPv4 is creeping closer and closer, emphasizing the need for devices with IPv6 support in 2015, despite the current low adoption numbers - the resource noted that adoption in the United States and many European nations hovers below 15 percent, while use in China barely surpasses 1.5 percent. Sooner than later, however, hardware across the data center, from racks to serial-to-Ethernet converters, will need to be compatible with the new protocol.